We are pleased to share our March newsletter, which has all the info you need to know to get ready for The Studio's fabulous "Once Upon a Dream" Production/Recital. Plus, we offer wonderful classes ranging from Bounce & Boogie to Rhythmic Dance, acting, Adult Hip Hop and more. You can even register and pay online! New students may begin at any time. If you do not see what you're looking for, PLEASE give us a call (248.486.0649). Our client needs are top priority! 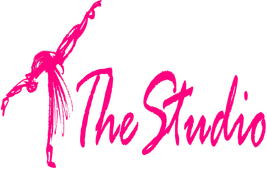 Treasure your 2018 - 2019 dance season with a Studio Memory Book! These gorgeous, full-color yearbooks feature all of our performers as well as snapshots from major events throughout the season. For an extra special touch, you can even celebrate your performer with his or her very own personalized appreciation ad. Order forms are available at the front desk! Best of luck to all our competitive dancers as they light up the stage at regional competitions throughout the state! We couldn't be more proud of each and every one of you for all of your hard work, dedication, perseverance and heart. Way to shine, Studio stars!! We are pleased to announce that our spring Production/Recital performances will take place at the beautiful Jane Tasch Theater on May 18 and May 19. For a copy of the show lineup and to download a ticket order form, please click here!